EZ CD Audio Converter Free 2.2.2.5 - Download Win Apps. 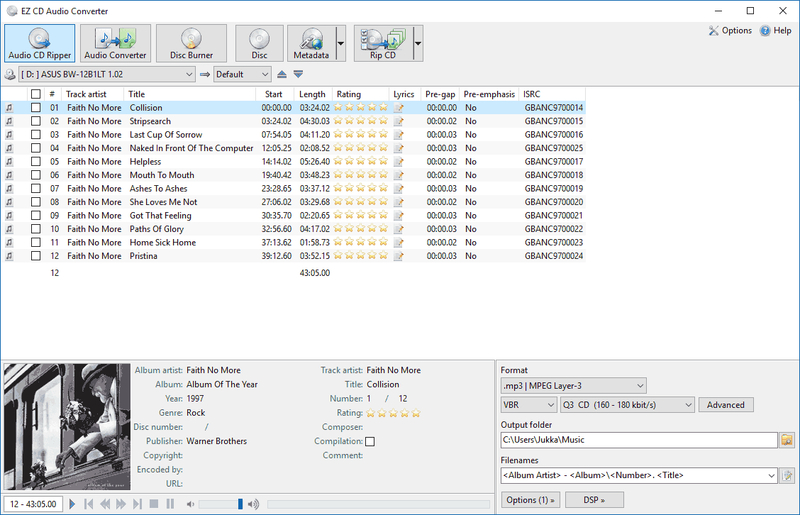 Audio suite that features CD Ripper, Audio Converter, and Disc Burner. All combined to user friendly, beautiful interface. CD/DVD/BD drive. 60 MB free disc space.